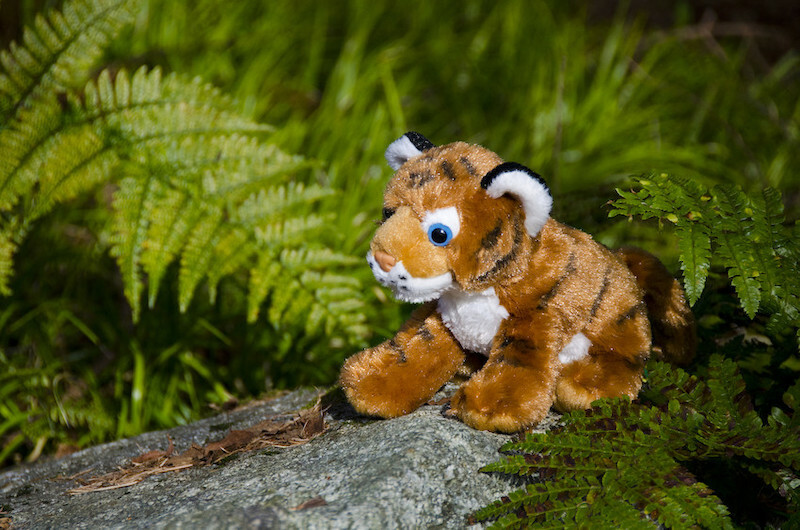 Engage your classroom in wildlife conservation! Wildlife conservation provides numerous opportunities for students to develop skills and expand their knowledge in meaningful ways. No matter what age group or subject you teach, with a little effort conservation can become a rewarding component of your curriculum. Interested in engaging your classroom in conservation, but not sure where to start? 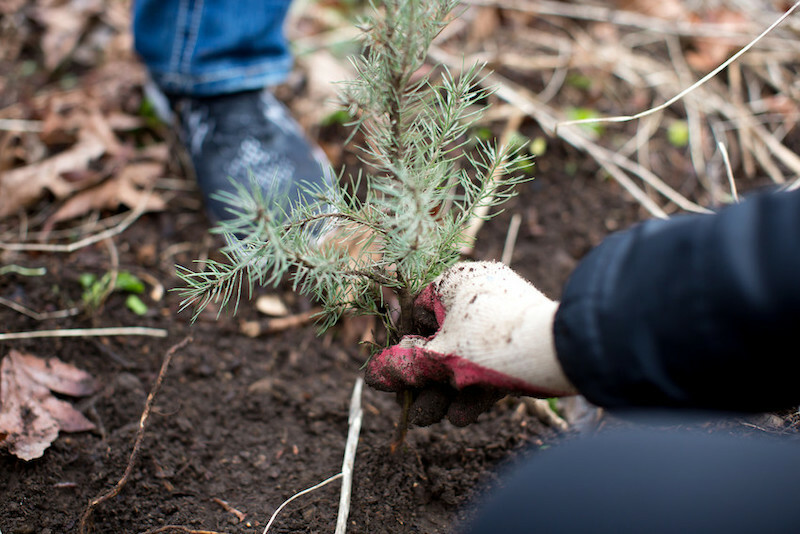 Here are some simple ways you can get your classroom involved in conservation. When you visit the zoo as a class pick up your free tokens at the Guest Services window by showing your chaperone sticker. You’ll receive one token for each member of your group, including adults. Examine the Quarters for Conservation kiosk just inside the entrance to the zoo and learn about the six different conservation projects you and your students can help the zoo support. Each student and adult can vote for the project they care about most by putting their tokens in the kiosk. Each token represents a donation of 25 cents from the zoo entry fee. Interested in engaging your classroom in conservation? The Coins for Conservation program provides students with an opportunity to learn about six local and global conservation programs supported by Woodland Park Zoo. After building a classroom conservation kiosk students can then raise support for the program of their choice by bringing coins into the classroom and placing them in the conservation kiosk. Once the kiosk is filled it can be brought to the zoo and donated. The Coins for Conservation program provides an engaging and empowering experience for the entire classroom, and encourages students to care, inspire and empower. Learn about the six different projects currently supported by Quarters for Conservation at Woodland Park Zoo on the Quarters for Conservation page. The following introductory PowerPoint and activities can be used in the classroom to encourage students to learn more about the role of Woodland Park Zoo in conservation. If you are interested in additional resources check out the Endangered Species teacher packet. Allow students to get creative in the design of the classroom conservation kiosk for collecting coins. The use of recycled materials is encouraged and students can decorate the kiosk in any number of ways. All that is required is that each of the six supported conservation programs has its own container with a slot large enough to drop coins of any size in. Need a little inspiration? Here are step-by-step instructions for creating a conservation kiosk out of recycled plastic bottles. Encourage students to tell the conservation story of the program (or programs) they have chosen to support to family members, friends, and other community members. This encourages students to have a voice in their community and to take action. Donations can be brought to Woodland Park Zoo during a classroom field trip. If the class is unable to visit the zoo together the instructor or a chosen individual can bring the donation on a personal visit. To arrange a donation drop-off please contact Bobbi Miller via email at bobbi.miller@zoo.org at least two weeks in advance. Share your story by filling out our Coins for Conservation completion survey. Upon receiving your donation and reviewing your survey we will post your classroom’s name on our list of donor classrooms for up to one year. We will also occasionally share inspiring classroom stories on the Woodland Park Zoo blog. Adopt an animal as a classroom and support the conservation of one of the many important species that Woodland Park Zoo works to conserve. ZooParent classrooms receive educational benefits and resources that help the classroom stay up-to-date on the species they choose to support. With every donation, $5 will directly support conservation efforts at the zoo and around the world! Building a schoolyard wildlife habitat is a fun way to get students outside and learning about their local ecosystem. Help conserve local species by providing native plants, food, shelter, and water on school grounds. A schoolyard wildlife habitat fosters environmental stewardship amongst students and provides an outdoor classroom in which students can perform ongoing observations and citizen science. Our partner, National Wildlife Federation, has numerous resources on how to get started planning your schoolyard wildlife habitat. Wildlife Habitat Certification provides students with recognition for their efforts and a sign they can proudly display. Once your schoolyard habitat is complete your school is also eligible to receive a bronze level Eco-Schools USA award. Challenge your students to design and implement their own conservation campaign. Conservation campaigns can take multiple forms and can involve many types of actions that raise awareness and support. After researching a particular conservation project or theme students can plan methods for getting the word out about their chosen topic. Campaigns can include actions like coordinating a special conservation outreach event, writing local politicians and media, creating informational posters to display, or even putting on a theatrical performance. The sky is the limit, encourage students to get creative and push themselves outside of their comfort zones in order to develop new skills. Educational goals from any discipline can be weaved into developing a conservation campaign. A conservation campaign creates an important purpose behind student learning, making what they learn more personally meaningful. By engaging in a conservation campaign students are empowered to develop a voice within their community and to learn by doing. Funds raised for conservation can be donated directly to Woodland Park Zoo here. Use the “Designation” box to direct where your school or classroom donations go. Your class can also opt to raise funds towards adopting an animal through the ZooParent program. Wondering where to get started? Learn about the many conservation projects supported by Woodland Park Zoo here. Additional conservation information can be found on our animal and plant fact sheets. Dioramas, posters, poetry, plays and even videos designed by students can be used to raise awareness and support in a diverse, creative, and emotionally engaging way. Other creative projects like storybooks, postcards, or notepads can be designed by students with multiple copies printed. These printed materials can then be sold to raise support for the conservation project they are related to. Encourage students to reach out to local newspapers, radio stations, and politicians about their conservation campaign. Put on a conservation fair or parade at your school or in your community which can feature not only one but multiple conservation projects of interest. First grade instructor Nancy Webster of Martha Lake Elementary has been engaging her school in conservation through a unique endangered species project for over a decade. 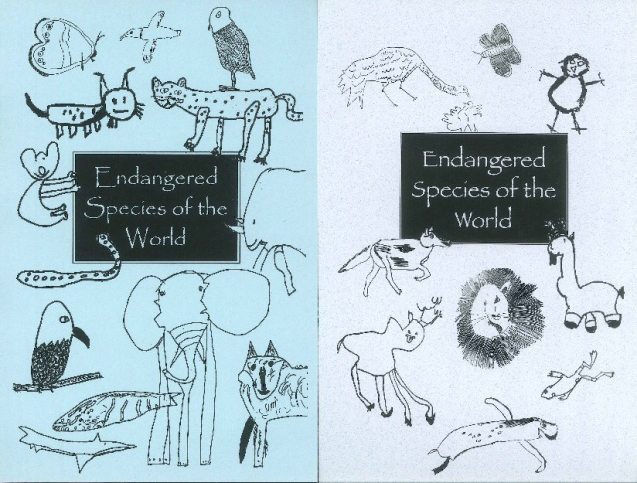 For this project each student chooses an endangered animal to become an expert in and draws a picture of that animal. All of these drawings are then used in the design of notepads which students sell to community members in order to raise money to support conservation at Woodland Park Zoo. In addition to their fundraising efforts students continue to research their chosen animal, culminating in a report which they present. Students also participate in a docent-led visit to the zoo where they continue to learn about the habitats and animals that they are studying and supporting. This multi-faceted project has become a unifying part of the first-grade experience at Martha Lake Elementary. Have a great success story to share of a classroom or school-driven conservation campaign? Fill out our conservation campaign survey and share your story with us. Inspiring stories will occasionally be posted here or on the Woodland Park Zoo blog.